“How do I have a good PantheaCon experience?” Judy, a newbie, asked me. Since this year’s PantheaCon will be at least the 11th year I have attended, I had a bunch of ideas rise in my mind. 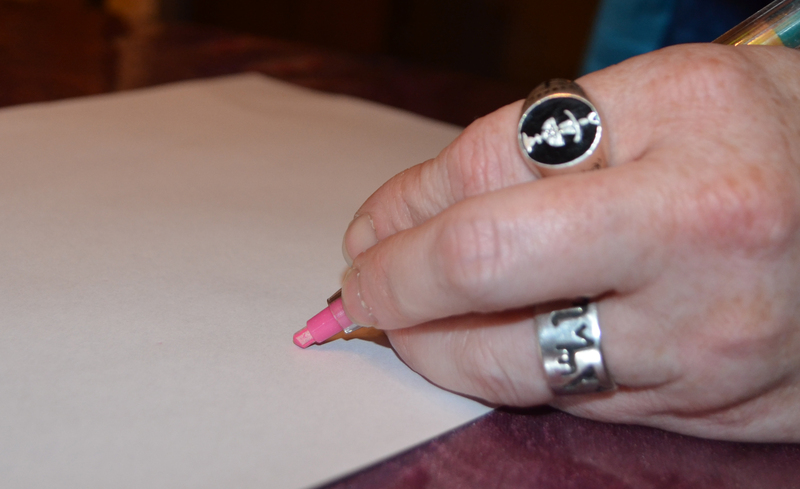 In this post, I’ll share ideas about having a good PantheaCon experience. Many of these ideas I’ve shared in previous posts. For PantheaCon 2019, I’m thinking about Setting an Intention when I wake up—before attending PantheaCon for the day. Creating goodwill that never ends. Protected from negative energies so that they yield. Learning much from every situation. Thank you, Lord and Lady. “What did you learn last year at PantheaCon?” a friend, Jimmy, asked. On the other hand, just let the PantheaCon experience be what it is. Yes, you’ll find people of like mind and faith at the conference. It can be a great place to connect with people. But if you’re a newbie, you may be held at arm’s length by some people because they don’t know you. Don’t take it personally. After your first year, people will know you. Then closer relationships will be possible. Enjoy what’s in front of you. Just as Wiccans listen to the Earth, listen to your own body. Do you need to take a break? Get a nap? Walk outside and get away from people for a time? Pay attention to your body and the energies around you. You will learn a lot. Know when you have had enough. Don’t stay until you can’t think straight. Especially, be careful if you must drive home or to another hotel. “If you’re attending PantheaCon, you might want to use this following Shielding Chant to help you stay empowered in such a highly stimulating situation. This Shielding Chant can be used at times when regular shielding isn’t enough. As you say this chant, you will take your power hand, (usually your dominant hand) and trace a Circle three times above and around your head. When you do the movements, you will envision the energy streaming from your index finger. Soon, you will point to the heavens and pull the energy from there to the ground. Using your power hand, trace the Circle three times. Point your index finger up to the heavens and then pull energy down to the ground. Sometimes, you want to do a “deliberate pace” and get some rest and other times, you’ll probably want to experience some higher energy activities at PantheaCon. In summary, let your PantheaCon experience be what it is, and align yourself to your rhythms during the event. Hope to meet you at PantheaCon 2019. Since this year’s PantheaCon (2-16-18) will be at least the 10th year I have attended, I had a bunch of ideas rise in my mind. Hope to meet you at PantheaCon 2018. Oooh! When I walk into PantheaCon and see my Pagan brothers and sisters dressed in their sacred symbols, I know that I’ve returned to one of my homes. 2017 is my 11th year of attending PantheaCon. Sharing hugs with old friends and then enjoying the magic of making new friends – this nourishes my soul. As a member of Covenant of the Goddess (CoG), I attended the annual CoG meeting. Hmmm. While I’m at it, this would be a good time to share material from another group I belong to—New Wiccan Church (NWC). The following material is visible at their website NewWiccanChurch.org. The New Wiccan Church is neither a tradition nor a coven, but is a professional and service organization by and for members of all branches of the Traditional Craft. 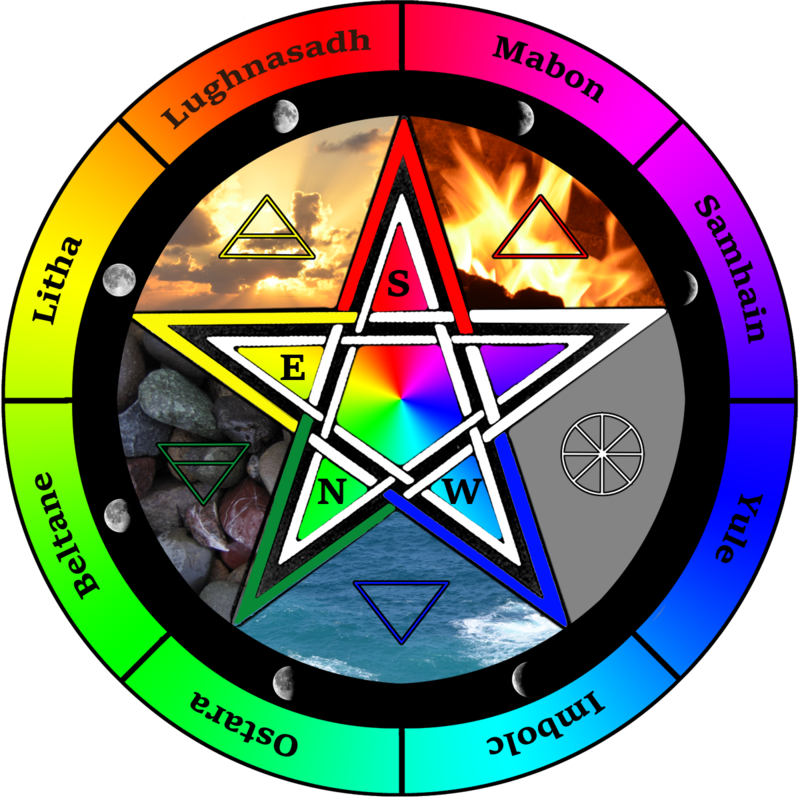 The goals of the New Wiccan Church are the preservation, protection, and promotion of British Traditional Wicca. To fulfill these goals the NWC provides assistance, resources, and opportunities for communication to its members, the Wiccan Community, and the general public. A point of contact to provide information and expertise to law enforcement concerning Wicca and paganism. 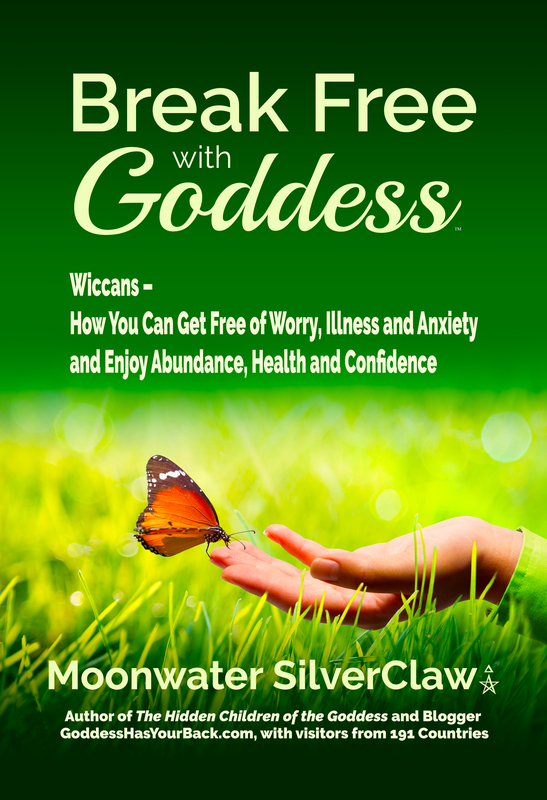 Certificates and other credentials to aid in Wiccans receiving their rights as legal members of the clergy…. When I was a solitary witch, I gained much from my studies and my actual practice with magick. When I joined a coven, I learned of these organizations and joined. Both CoG and NWC have added much to my life. You may want to consider applying to join these organizations. “Sometimes, it just gets to be too much to bear, you know?” Merla said. At PantheaCon, we were taking a break. She told me about how she still had to hide her pentagram necklace at family gatherings. Her family held to a strict Christian point of view. If they knew her Pagan faith, she’d be denounced and disowned. I listened closely. I kept quiet mostly so that Merla could talk herself out. Merla feared losing all contact with her sister. I could relate to fear. Have you noticed how fear can keep us stuck? Will Merla ever come out to her family? Is her relationship with her sister strong enough so she could come out just to her sister? These are tough questions. Maybe not coming out to her family is the right decision for Merla. I don’t know. I do know that if you run your whole life by fear, it can really screw you up. “Have you ever been so scared that fear stopped you cold? At 15 years old, I wanted to be a writer, but I had dyslexia. Writing scared me. So I shut down for over 20 years and didn’t do my dream. I have 3 Big Ideas to share with you tonight. Let me share how this worked in my life. I have a friend who knew an Acquisitions Editor at a top publishing company. I knew the books that came from this publisher. I really wanted to write for this publisher. This is the dream for a wannabe writer like me. The one big opportunity. So I went to their website to find out what I needed to submit to the publisher. Under the tab “submissions” it said that I had to submit a complete manuscript of the book. Write a whole book?! Are you crazy? I can’t even write a paragraph. But then I had an idea. “Just one step.” Did I believe I could write a book. No. What could I do? One step. Write a paragraph. Another step. Write a second paragraph. Then, write a short blog post. One more step. Write a second blog post for the second week of the blog. One year later. 52 blog posts done. Now, I had most of the material for a book. What did I learn? “JUST ONE STEP.” Just one step at a time is all I needed. You don’t have to believe; you just have to act. Here’s my 2nd Big Idea for you tonight. I have dyslexia. Can I polish my writing on my own? So I came up with this idea–my 3rd idea for you tonight: The Power of Me Expands to the Power of We. In my case, “We” means that I write the first draft. It’s all my ideas, my content—what comes from my heart. 2) The Power of ME expands to the Power of WE. Now, I invite you to think of something you want. Something you want to try. Something you want to experience. Think of One Step in the direction of what you want. Yes—Doing a Google Search counts! I know this works. I’m living proof. The dyslexic who has written 4 books. Look around. We’re all gathered tonight. We’re supporting each other. During the networking time, you could meet someone who can help you – and you could help that person in return. What is possible? More than you think. Remember: Just One Step and the Power of WE. In my above speech, I talked about how I dealt with fear by taking small steps forward. In your spiritual path, what small steps can you take forward? Do you wish to connect with more Pagans? You might go to Cog.org [website of Covenant of the Goddess]. If you can find your way to California, usually in February, you can attend PantheaCon. I invite you to find other Pagans and build your own circle of support. Going to PantheaCon? Meet Moonwater SilverClaw in person at the Double Tree Hotel on FEB 13 – 16th . . . often in the NWC/COG suite. Come and chat — and get books signed by Moonwater in room 957. Come and enjoy the snacks and the people. Get your questions answered by knowledgeable people about the Craft and more! “I don’t want to make a mistake. I’m new to spellwork,” Claudia said. Years ago, when I first began with Wicca, I was really concerned about doing Wicca correctly from the start. It was very important for me to honor the God and Goddess appropriately. Wicca includes various rituals that a practitioner may do. Rituals can be incredibly complex to quite simple depending on your tastes. Do you like complex and complicated or do you prefer the more simple types of rituals? The best thing that I can say is whatever you do, do it from your heart. That is what pleases the Gods. I continued by sharing my own journey and how I chose one of the oldest Trads for learning the basics. Consider Which Witch is Which to get an overview of the different Trads out there. If you want even more information, I have lots of good info for beginners in my book The Hidden Children of the Goddess. 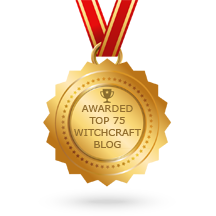 “How do I find a good mentor?” Claudia asked and I shared with her information found in my blog post: Finding the Right Wiccan Mentor for You. Another way to find a mentor is attending PantheaCon, a Pagan conference that takes place in the San Francisco Bay Area each February. Many different practitioners of Paganism (including Wicca) attend. You can then check out and ask about the different Trads, and learn from the practitioners themselves. You can check out the website of PantheaCon It would be fun to talk with you if we meet there. I often attend. You can also find local mentors through Covenant of the Goddess. I hope you find the above resources to be useful. Alone. That was the beginning of my spiritual path. I started with books on Wicca. My early journey as a solitary witch was lonely. This went on for years. I had no contact with like-minded Pagans. I didn’t know where to go and how to meet anyone. Fortunately, today we have many more opportunities to connect with other Wiccans. As the Internet became part of our daily lives so too we could find other Pagans. You did not have to remain alone in your spiritual journey. You could find others and connect with them. How do you meet other Pagans? Learn about many wonderful Pagan festivals around the world. Now, it’s my joy to introduce you to PantheaCon. PantheaCon is one of the largest gathering of Pagans on the West Coast of United States. It occurs on the long weekend of February 14-17th and is located at the DoubleTree Hotel in San Jose, CA. PantheaCon marks it’s 20th Anniversary in 2014. 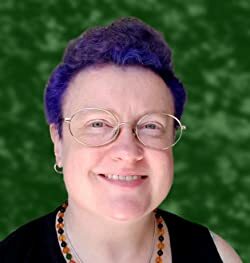 It is the brainchild of Glenn Turner, and she has been pleased with PantheaCon’s ever-expanding popularity. It’s so fun to meet the same people each year; you really get a sense of community. And of course, I enjoy meeting new people each year, too. Between all the classes, workshops and entertainment, it’s educational and great fun. You can see 2014’s Program Guide here. When I was starting out in the Pagan community my mentor brought PantheaCon to my attention. Here I bring it to yours. I have gained many friendships over the years and enjoy seeing both old and new faces every time I attend. 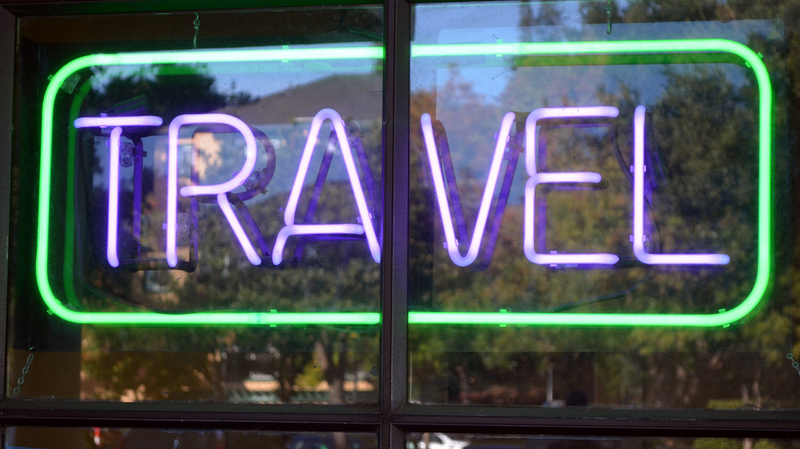 When you’re ready, pick a festival like PantheaCon and discover the wonders of new friends and true support.